Warning: One Kiss can lead to another. Confident and quirky cartoonist, Zoe Andreis must put her life on hold and fly back to the States to care for her ailing father. Spending her post-college years traveling and gallivanting all over Europe while rehashing her adventures in comic form, Zoe grapples with the notion of being shackled to one city. When she encounters, Max Kiss, Zoe’s true adventures begin. Although Max would love to branch out and take carefree and crazy chances of his own, he too is tied to LA, tending to his aging and deteriorating father. 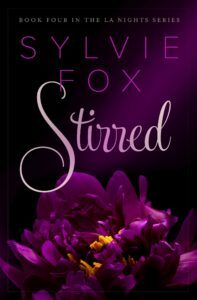 Stirred and enamored by Zoe’s zest for life, Max longs for a future full of love and spontaneity. While they struggle to find balance caring for their parents and living a life of their own, Zoe and Max form a strong and sensual bond. But when the tough challenges surface, Zoe and Max search for a way to have the life they want without feeling the burden of guilt.